This little bundle from Nvidia is only for a limited time, with the bundle sale ending on May 15th, 2016, so there is about a two and a half week period to take advantage of this deal. 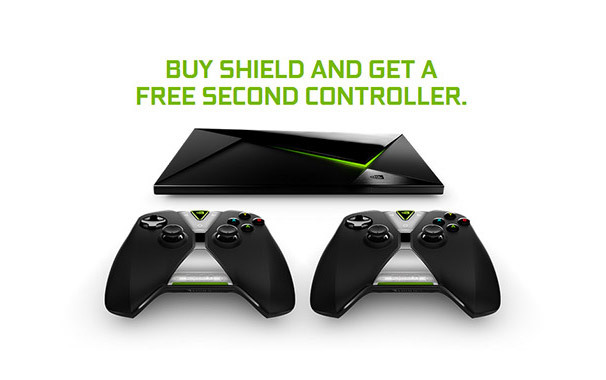 The extra Shield controller comes with both the 16GB Shield Android TV unit, as well as the 500GB version as well. Obviously if you plan to play any multiplayer games, having a second Shield controller is definitely handy. On a side note for you streamers out there, the Shield controller also has a built-in microphone, in case you need one. Normally, a Shield controller by itself costs $59.99, so you’ll be saving $60 if you do take advantage of said deal. You can pick up a 16GB Shield Android TV for $199 off of Nvidia’s Shield website, or the 500GB version for $299.